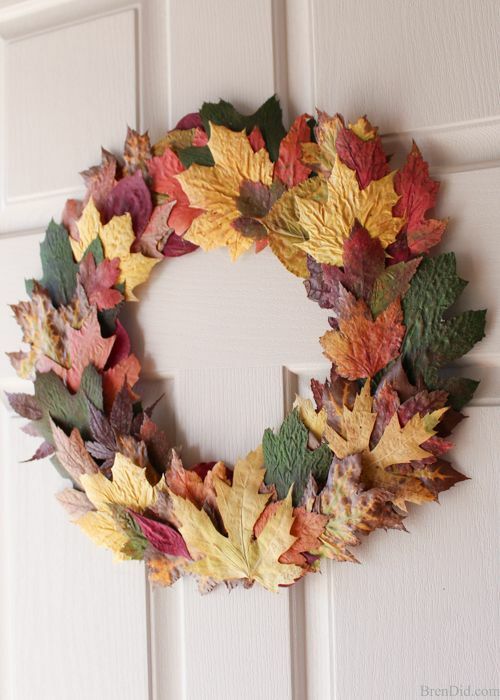 Every year, I see a new way of turning simple seasonal decor from something that looks beautiful on its own—and could be composted—into something that will end up in the trash by November and won’t break down for a really long time. 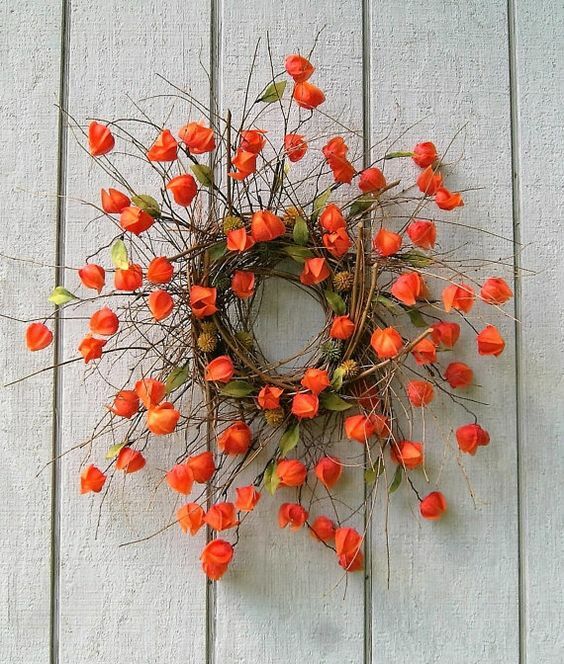 Yes, they look pretty fab, and I hate to squash anyone’s DIY dreams, but there are plenty of other ways to make your home look cozy (or spooky) with stuff right from nature without spray-painting or bedazzling it. 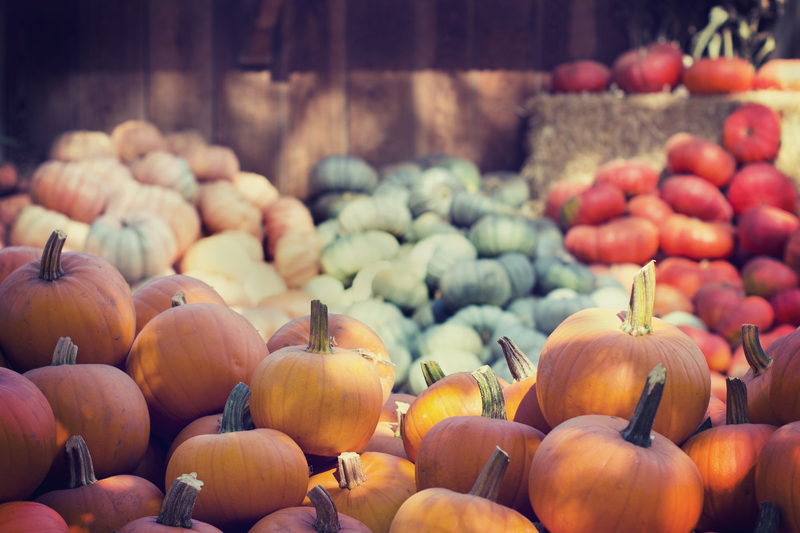 Here in Western Mass, we’re lucky to have an abundance of plants and foods that people often associate with autumn: pumpkins, gourds, corn stalks, and colorful fall leaves. Maybe you have some of these in your area, or maybe there are other native plants that change naturally during that limbo between summer and winter. Bonus: some of these things are free or inexpensive, AND you can pretty much send them back where they came from. This one’s obvious, right? 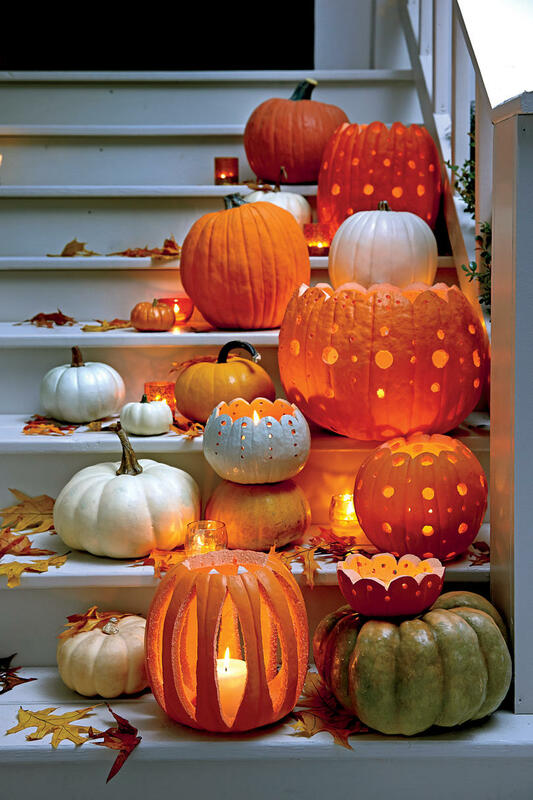 But pumpkins and jack-o-lanterns are so symbolic of the season and Halloween that they never go out of style. There are loads of new heritage varieties these days, and even more creative ways of carving and displaying them. 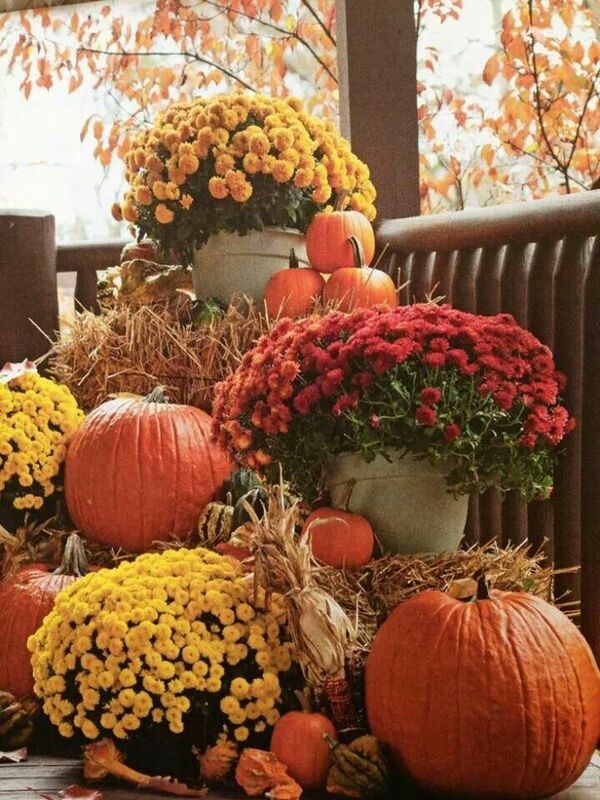 When you’re done, just compost them or turn sugar pumpkins into pie. Decorating with food? Double-win. Winter squash is hearty, comes in lots of shapes and colors, and nothing goes to waste because you can cook it up later. 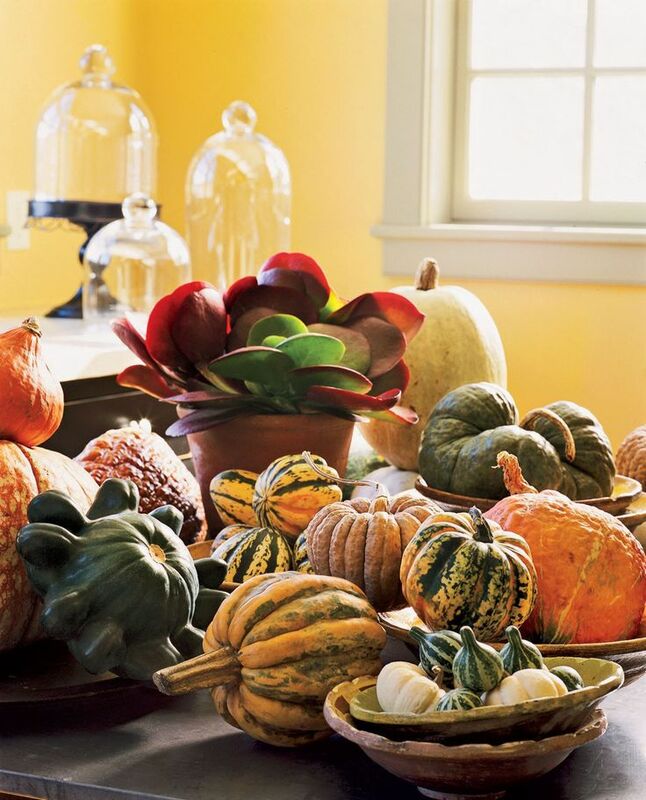 You don’t need to do much here — just cluster a few on the table, mantle, or, sideboard, or arrange them in a bowl or basket. If they’re available in your area, collect them and press them under some books for a few days to keep them from curling up. 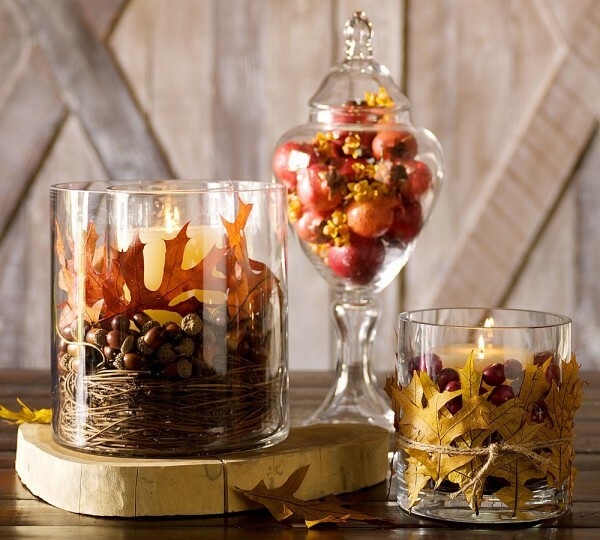 String them up, spread them on a table underneath centerpieces, or create a beautiful, ephemeral wreath. Edible decorations, Pt. 2! 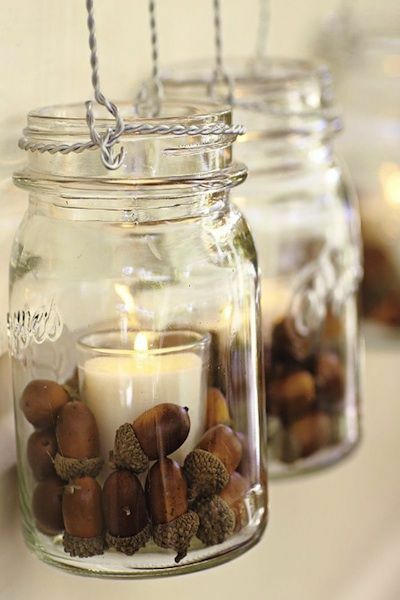 Fill jars and candle holders with acorns, or nestle them in with your pumpkin and gourd displays. 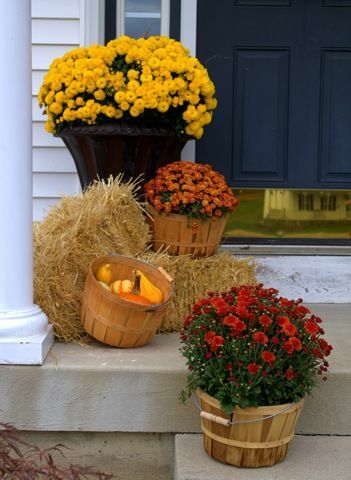 Afterward, put them back outside for the squirrels to hide away for winter. Other nuts in their shells can serve the same purpose, and be a tasty snack for resident humans. America is a veritable corn-ucopia when it comes to this stalky staple. 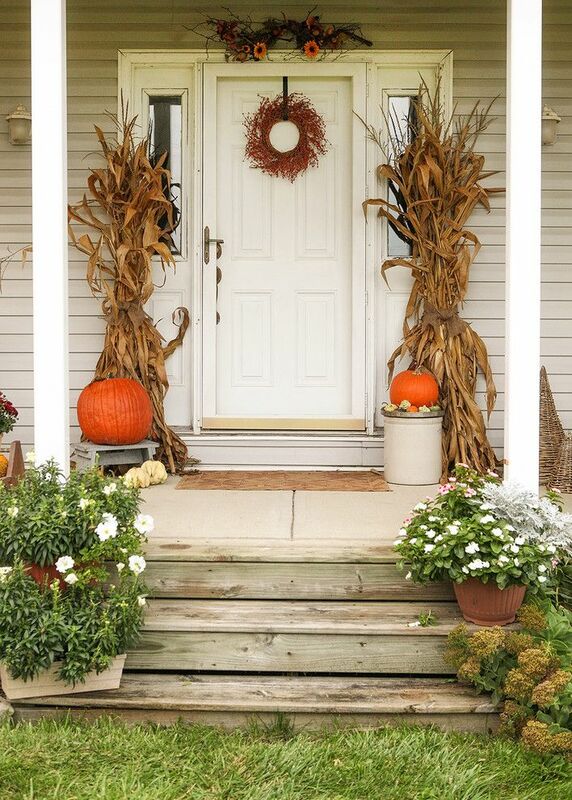 If it’s growing in your area, check local farm stands or farms for dried corn stalks to be used around doorways and on fence posts. Smaller bits can be used in flower pots and window planters. Speaking of multi-purpose items, a good old straw bale can be used to give dimension to outdoor decor, and can also become impromptu seating for outdoor parties. Use the straw on your garden over the winter. Really, this should be #1. Branches are long-lasting and can be used year-round for hanging holiday decorations or with a simple string of white lights. 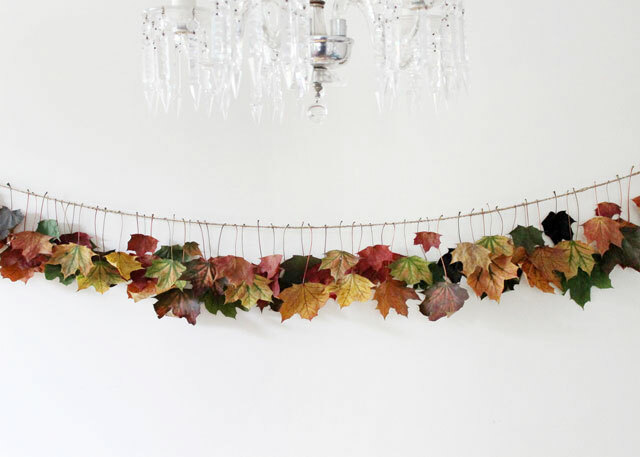 Deck them out with some paper bats, black ribbons, or use branches with acorns and fall leaves still clinging to them. 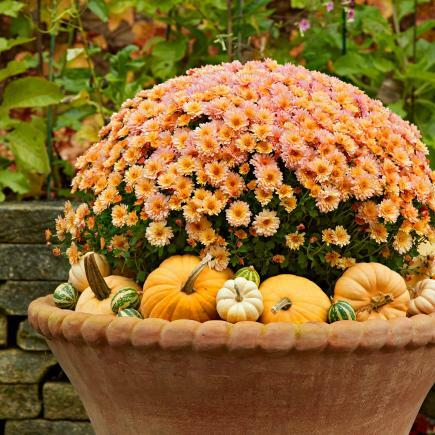 Mums have a traditional fall feel, but they come in so many shades of orange, purple, yellow, red, and pink that you can easily use them to transition your garden from summer to cooler weather. Just save the plastic pots for next year’s gardening, or bring them to a heavy plastic recycling event! Old-fashioned? Never! 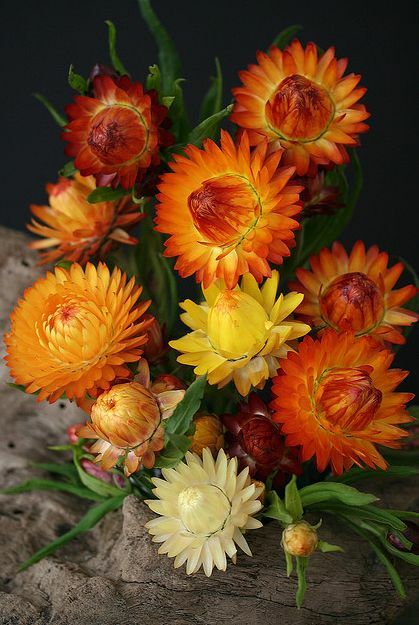 Dried flowers are timeless and can be used creatively, and will last a few years if taken care of properly. Gently shake them, fan them, or use the cool setting on a hair dryer to remove dust. If you’re starting to think I’m a little obsessed with edible decor, you’re right. 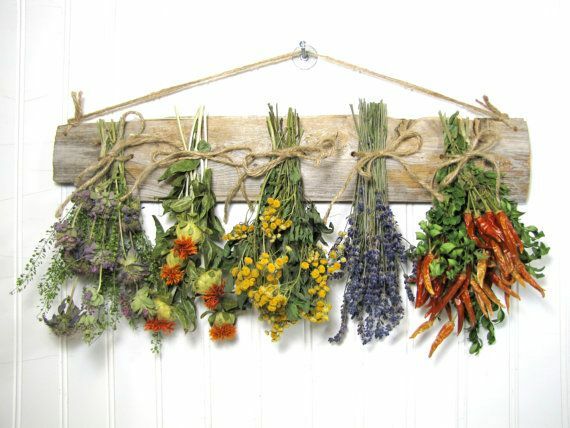 Herb bouquets are the new flower arrangements, and for good reason: as long as you don’t leave them out to get dusty, you can use them for cooking. 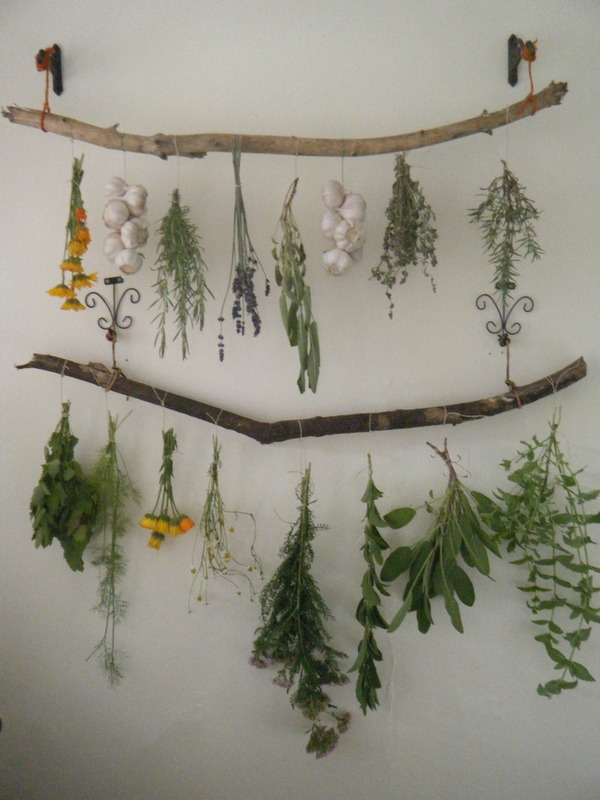 Learn how to dry herbs at home here. You might not know this showy vine’s name, but you may have seen it before in fall decorations or along the side of the road in areas where it grows. It adds a vibrant spark of color — just be sure to keep it away from children and pets, because its berries are poisonous. 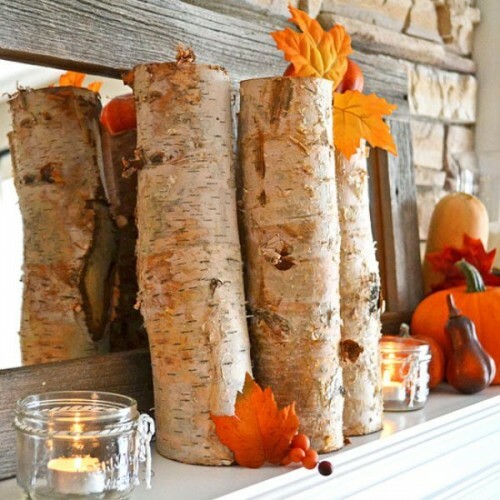 If you have wood-burning stove, all you need to do is artfully arrange some logs with a few decor items listed above. If you’re like most of us and you don’t, snag some fallen wood from a wooded area or buy a bundle of firewood from your local hardware store. 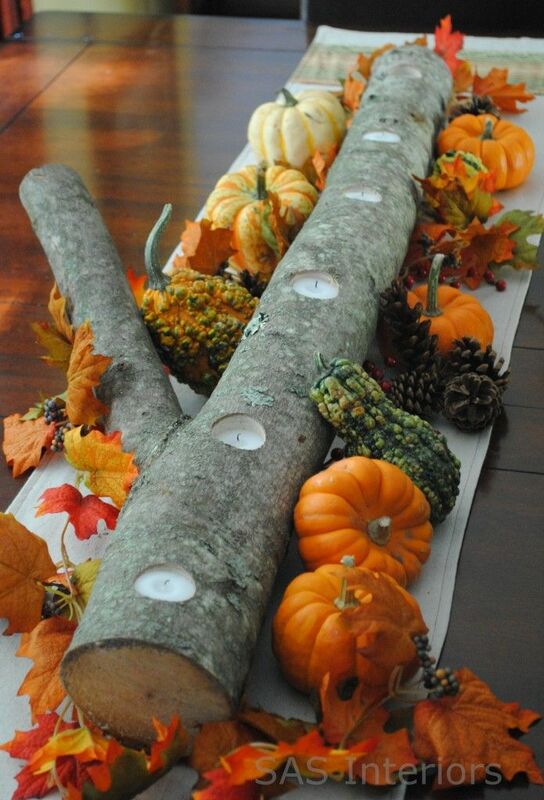 Keep it simple, or create your own log candle holder using a power drill. 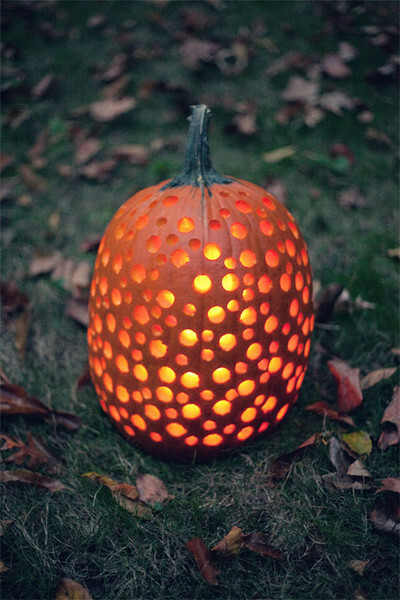 If you don’t have room, time, or energy to drag in a bunch of pumpkins, try a simple branch (or a few) of Chinese lanterns. 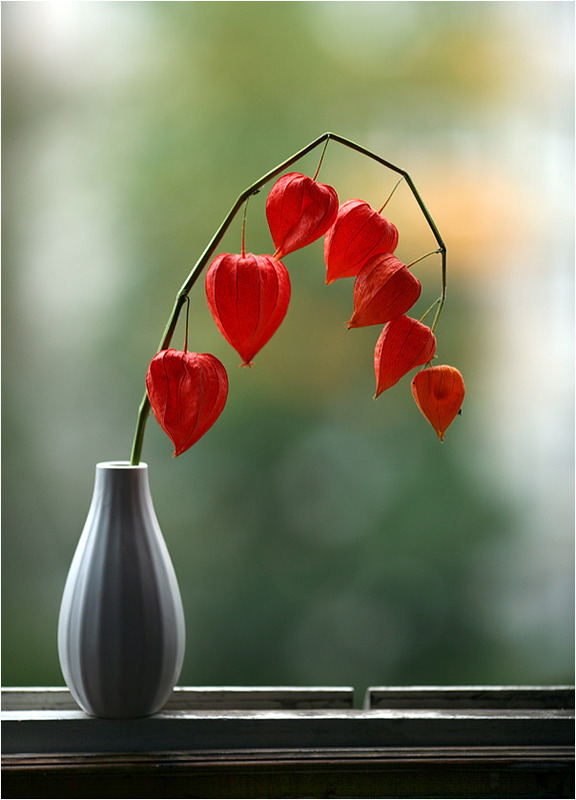 Their cheery, delicate orange lanterns look a little like tiny pumpkins, and they can add some color and interest to a dried or fresh flower arrangement. 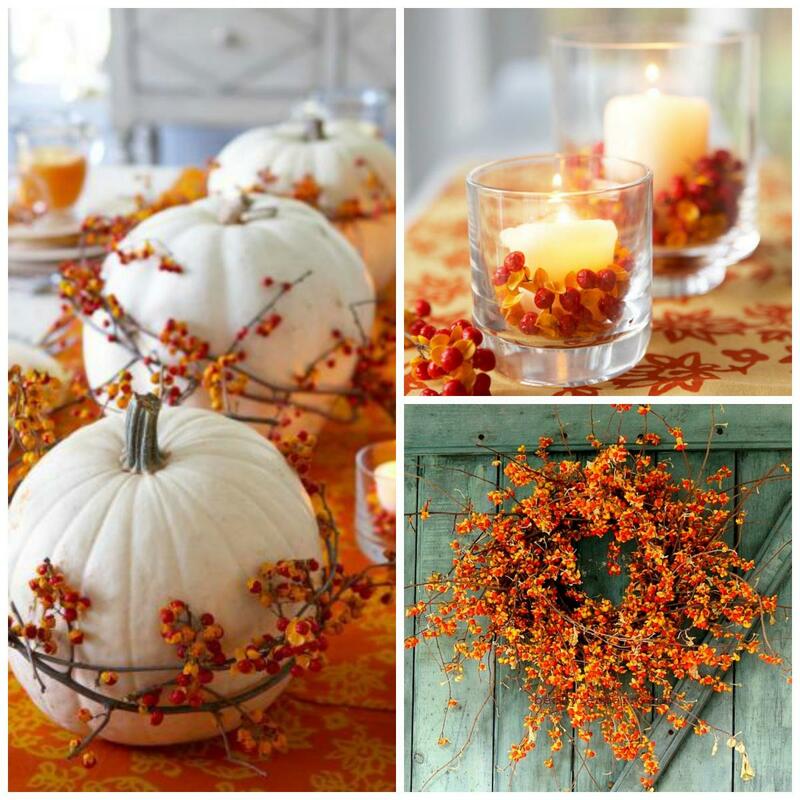 Happy autumn and happy decorating to you all!